Shocking increase of occurrences of sexual assault and crime in and around campus. Bear Pact gave us insight into the importance of bringing this idea to life. Upon opening the app, the user is prompted to either join or create a group. One friend in a group of friends will create a group and will be presented with a group key. Others will join the group by entering in the key. Once the group is finalized users are brought to a screen which displays members of the group along with their safety status. If a member leaves the preset "safety radius," then all users are notified and they can take action to make sure the member is safe. 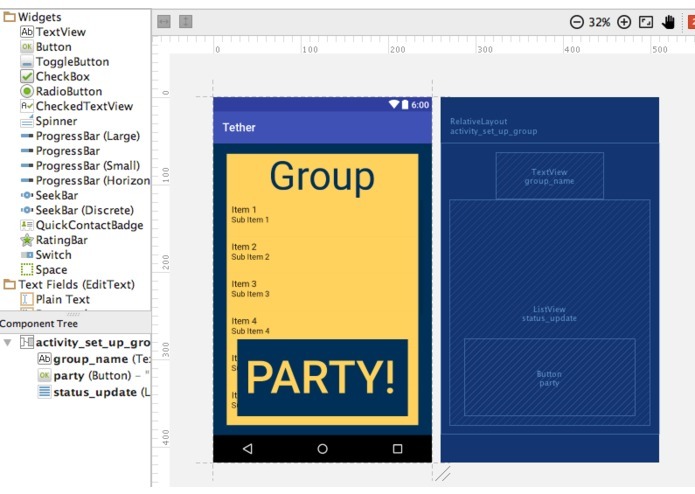 We used Android Studio and integrated a Firebase database into the app. Then we integrated pull and push services to the database to supplement real-time location services updates that were necessary for the app's functionality. Afterwards, we designed an intuitive UI to abstract the complexity of the app in a way that ordinary college students can use. We had a lot of trouble integrating the database into the app. At first we started by using Google Cloud Platform with a SQL server, but, because of complications, we decided to use a much simpler solution with Firebase, which runs without using SQL queries. It was difficult to handle real-time communication with the server and evaluation of values while simultaneously keeping the project running efficiently. We also had problems computing distances and locations accurately while keeping reasonable refresh times. We are very proud of setting up the database with Firebase and reading from and writing to the base, especially since this is our first time working with a back-end. We are also proud of the design of the app and how easy it is to create groups in the app. We're also proud of having implemented all the features we originally intended into the app. We learned a lot about how to work together as a team, learning how to play off each others ideas and knowing when to leave an idea when it wasn't feasible or was too complicated. This is also our first app (and hackathon) as a team so thats pretty cool. 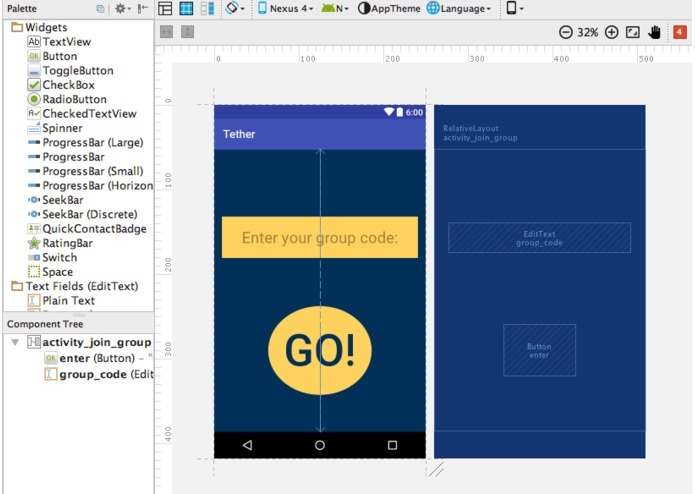 We also learned all about how Firebase works with Android Studio and how to read from and write to the database with real-time connections. Implementation of algorithm support and logic for groups of size 3 and higher (evolution from buddy-system). More back-end development to catch potential user errors. More efficient database usage and database management. Needless to say, there's a lot left for Tether. I worked with the integration of the app with Firebase and implemented the ability to store/pull data from the server as well as general methods and logic in order to get the app running correctly. I worked on the location service portion of the application, which included creating classes and functions to get user location data and send it to other parts of the app. I mainly worked on the safety algorithm and the notification feature of the app. I worked on the fundamental structure of the app by implementing FireBase database integration within the app supported by real time location services and a dynamic and intuitive user interface. I worked on the location services portion of the app as well as the UI/UX. 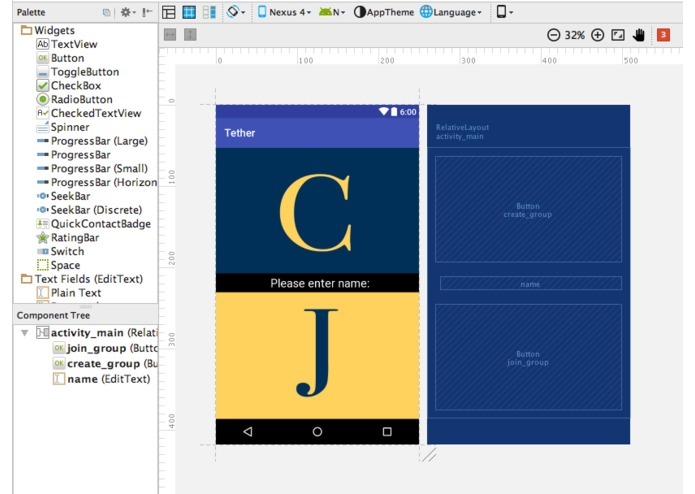 It was my first time using Android Studio but I learned a lot about all of it features through this project. I worked on graphical elements and the UI.